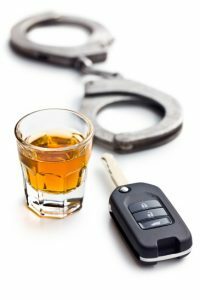 There are a lot of different charges you can face for Driving Under the Influence (DUI) in Michigan. The possibility of being convicted of a DUI can be overwhelming and you may feel like there is no hope. Do not despair, call the lawyers at Basiga Law Firm today to help build an effective defense for your case. The penalties for convictions may include having your license suspended, paying expensive fines and spending time in jail. Losing your license can have a dramatic impact on your life, so you need an experienced legal team to effectively defend you. The lawyers at Basiga Law Firm will strongly advocate for you and will help you reach the best outcome in your case. If you are scared you may lose your license or even spend time in jail, please give us a call immediately so we can put your mind at ease. We offer a free 1 hour consultation with no strings attached. You can’t afford not to hire an experienced lawyer when facing a criminal related charge. You could be risking losing your drivers license or even spending up to 90 days in jail. We are different than other law firms because we don’t have hidden fees. Instead of charging clients by the hour we use a graduated retainer which means you will know your costs for our service up front so there won’t be any surprises. Schedule a free consultation today to discuss your case. How the Michigan laws revolving around drunk driving will impact your case depend on the circumstances surrounding your arrest. The types of charges you will typically face are a DUI or an OWI (Operating While Intoxicated). Anyone below the legal drinking age of 21 will likely face additional charges. The legal limit for bodily alcohol content (BAC) for anyone over the age of 21 is .08 which is also the federal standard. The limit for anyone under 21is .02 in Michigan. It is important to get strong legal representation as soon as possible when facing a drunk driving charge. Our knowledgeable lawyers will help you understand the charges you are facing and will develop the best strategy for your defense. We will carefully go over your case step by step to collect information about the traffic stop including how a breathalyzer or physical exam was given to you. Basiga Law Firm’s experienced drunk driving defense team will be by your side from your arraignment all the way through a formal trial.